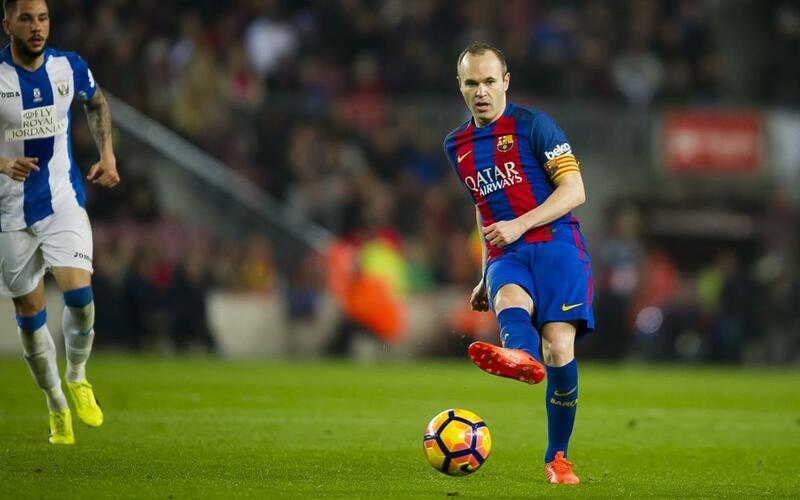 Andrés Iniesta has reached another historic landmark in an FC Barcelona shirt. The Barça captain made his 400th league appearance for the blaugranes in Sunday’s encounter against Leganés. The midfielder from Fuentealbilla made his debut in La Liga in 2002 against Mallorca with Louis Van Gaal as coach. He claimed his first league title in 2005, the first of two successive championships under another Dutch coach in Frank Rijkaard. Three more La Liga winners’ medals came under the stewardship of Pep Guardiola between 2009 and 2011 as Iniesta cemented his place amongst the best players in the world. Another league title came under Tito Vilanova in 2013 when the team reached the historic total of 100 points in the campaign. An eighth and ninth league title came in Luis Enrique’s first two seasons in charge, leaving Iniesta, along with Leo Messi, as the Barça player with most trophies to his name on 29.